RACHEL GREIG OF DARKROOM DOOR!! The new collections are "Viva la Flora", "Wilderness", and "Essentials 3". 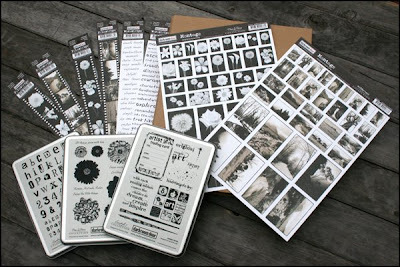 There's 8 new stamps sets all up, as well as Filmstrips, Wordstrips, Montage sheets, and Photochips! So much yummy stuff! So there you have it! My big secret revealed!! Starting Thursday 19th February, the Darkroom Door Blog will host Ten Days of Giveaways from each of the new Collections! 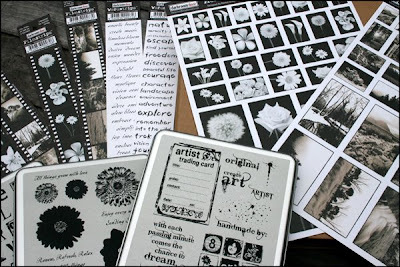 They'll share projects they have created using the new products and will have a giveaway each day for ten days. Be sure to check the blog each day for your chance to win!